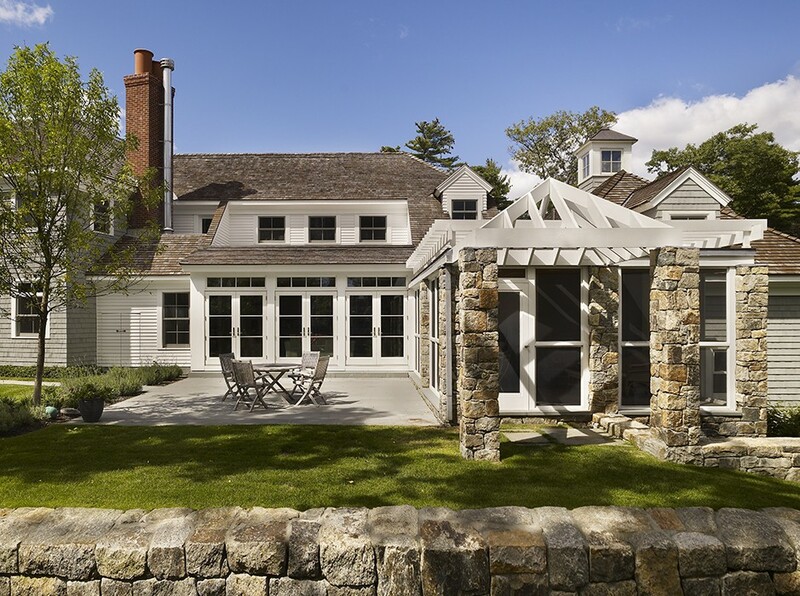 This project consists of an extensive renovation of the existing house, a large kitchen/family room addition and the implementation of a new landscape plan. 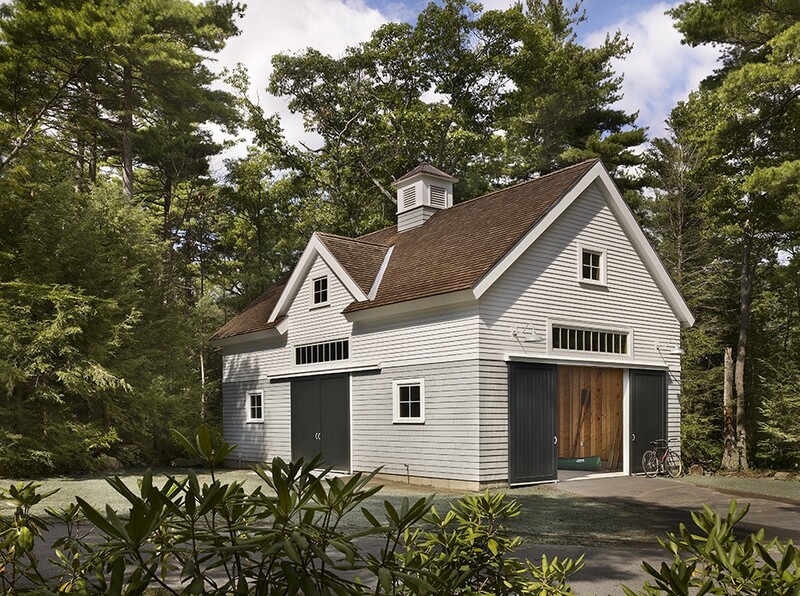 The renovation work includes the replacement of all windows and doors, new shingle siding and roofing, a new master bathroom, and the conversion of unused attic space into a guest suite. 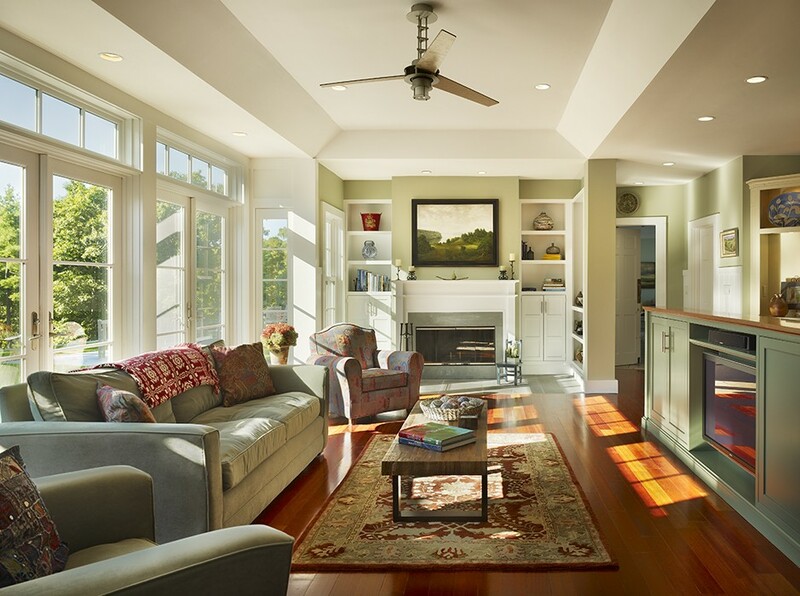 The new kitchen and family room area is carefully tied to the original portions of the house and features access to a stone patio and screened porch with commanding views. 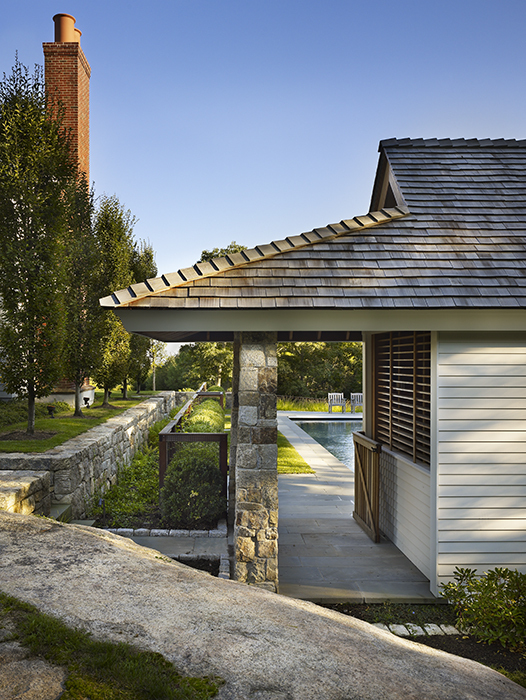 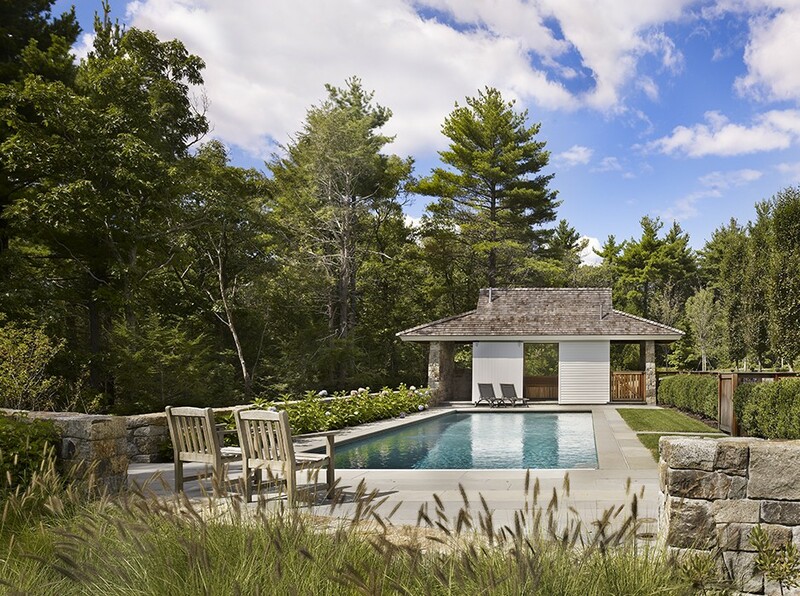 Site construction includes a new pool and cabana, a barn, and extensive use of stone walls and paving to define a series of outdoor spaces.